A majority of the people responding to a survey by the Saint Leo University Polling Institute believe climate change should be taught as an accepted scientific theory in the public schools. The survey was conducted both nationally and within Florida. In both cases, more than six in 10 respondents agreed strongly or agreed somewhat that climate change is a topic that should be taught in public primary and secondary schools. The survey was conducted online from February 16 through February 25, 2019. The national sample consisted of 1,000 respondents, and the resulting margin of error for the responses is plus or minus 3.0 percentage points. The same questions were asked of 500 respondents in Florida, which is home to both Saint Leo University, a Sullivan Foundation partner school, and its nonpartisan Saint Leo University Polling Institute. With the Florida results, the margin of error for respondents is plus or minus 4.5 percentage points. Questions on public education and climate change were added this year to a battery of questions that the Saint Leo University Polling Institute has been posing each year since 2015. The new questions were a logical outgrowth of evidence that the general public is wondering about the implications of climate change. Since 2015, every year more than 70 percent of respondents in the national poll have indicated they are very concerned or somewhat concerned about global climate change. In Florida, responses of those very concerned and somewhat concerned have been at least 67 percent since 2015. Even when results vary by a few percentage points from one year to the next on a question like this, the long-term pattern tells the tale, said Frank Orlando, director of the Saint Leo University Polling Institute and a political scientist who teaches at the university. In 2019, 35.8 percent of U.S. respondents said they were “very concerned” about climate change, and another 35.5 percent said they are “somewhat concerned,” accounting for the sum of 71.3 percent nationally who are concerned about the issue. By contrast, a sum of 25.9 percent nationally said they are either “somewhat unconcerned” (11.6 percent) or “not at all concerned” (14.3 percent). In Florida, 39.6 percent of the 2019 survey respondents said they are “very concerned” and another 29 percent said they are “somewhat concerned,” amounting to 68.6 percent. Those who said they are “somewhat unconcerned” were 13 percent of those answering, and those who said they are “not at all concerned” accounted for 16 percent of the answers, so those with less or no concern amounted to 29 percent. As concern has been documented over a period of time, the polling institute decided this year to ask the public whether or not it favors certain actions being tried in various areas in response to climate change. Education of the next generation was one topic. Nationally, 64.4 percent agree somewhat or agree strongly that climate change should be taught as accepted theory in public primary and secondary schools. In Florida, a combined 65.2 percent agreed strongly or somewhat. Those who disagree somewhat or who disagree strongly accounted for 25.5 percent of the national respondents and 25.4 percent of Florida respondents. People were asked to consider whether local regions might equip themselves to mitigate climate change. Some areas—such as Tampa Bay, South Florida, Boston, Virginia, and communities in the West—have publicly announced and launched coalitions or other entities to serve their own areas. “Since little has been done on the national level, and with various communities taking the initiative to address the issue at a local level, we wanted to see if this idea is seen as a priority among the public,” Ondrovic said. In the national survey, nearly 58 percent said a local initiative seems a worthy idea and in peninsular Florida more than 65 percent thought so. People were not necessarily aware whether their local areas have a department or some kind of joint plan to address climate problems. The survey also found in both the national and Florida samples that one-quarter of respondents say that individuals are capable of preventing causes of global warming through personal choices and actions. Follow-up questions revealed the most common choice (from a long list) made to help prevent carbon pollution was the purchase of higher efficiency appliances. Press releases with more detail are available at polls.saintleo.edu. Findings for each survey question on the topic have been compiled and posted under Poll Reports on the same page. Additional information includes Americans’ views on banning plastic straws and single-use plastic shopping bags. This story originally appeared on the Saint Leo University website. Many movements struggle to let go of the revered stories they use time and again to win supporters, but change often requires a new narrative. In 2012, for example, the US marriage equality movement replaced its long-used “basic human rights” messaging with messaging focused on love and family. Doing so allowed the movement to overcome setbacks and dramatically shift norms, behaviors, and expectations through savvy campaign strategies. Since then, public support for marriage equality has been climbing steadily, from 37 percent in 2009 to 62 percent in 2017. And since the 2015 Supreme Court ruling in favor of marriage equality, it is now the law of the land. Changing hearts and minds, building public will, and thereby influencing political will and judicial engagement on any issue requires that advocates first connect with people through language and stories rooted in values we authentically share. Yet by and large, climate change advocacy has continued to focus on the imperative of a stable climate and trends in rising temperatures (often accompanied by ice cap and polar bear imagery). 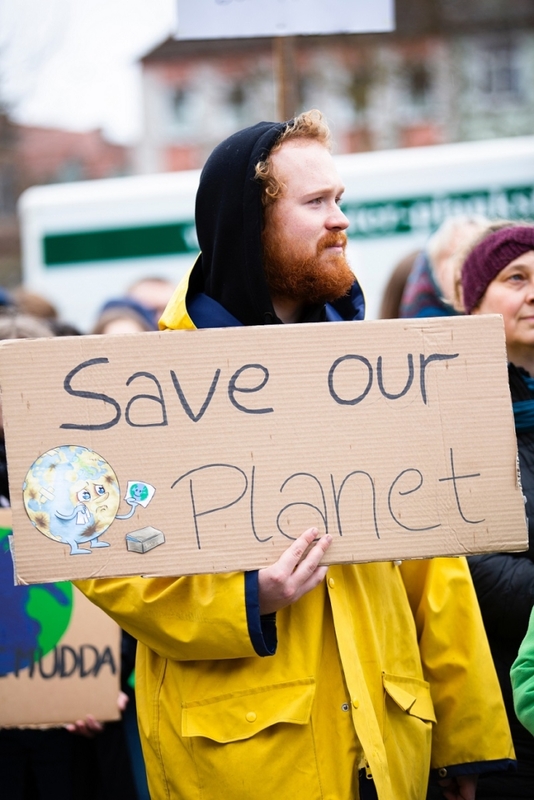 The movement typically relays that we are in crisis mode, and must act immediately to reduce carbon dioxide and other greenhouse gas emissions. But while all these arguments are true, they have largely failed to inspire individual action or widespread change in the United States. 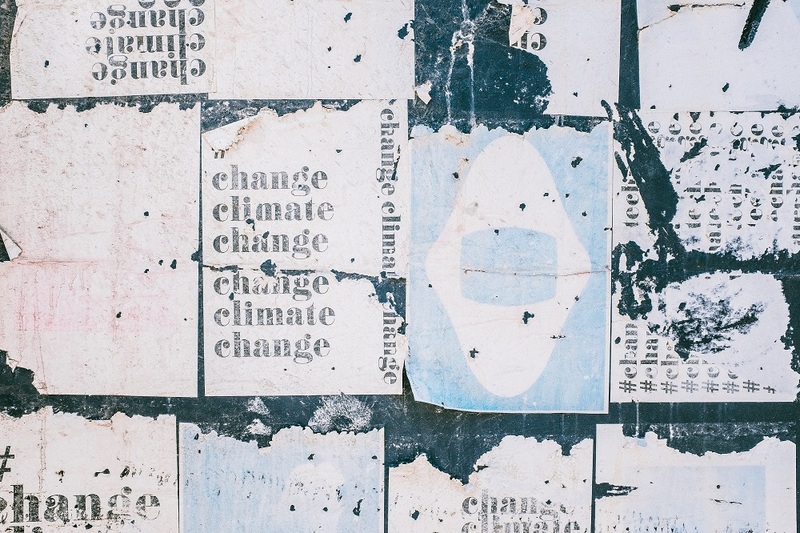 Some leaders and groups are beginning to evolve climate change’s traditional narratives to, for example, encompass health impacts (“climate change is impacting our health”), but new messaging still often hinges on changing people’s attitudes toward climate change itself. It still seeks to build public will in support of the issue as a precursor to driving policy and action to tackle it—and it isn’t working. Surveys show that even though more and more Americans understand climate change is real, is human caused, and directly affects communities, the issue remains a low priority for taking action. More than a decade of investment in advocacy and marketing to raise the alarm on climate change—during both progressive and conservative ascendance—has not yet galvanized political or public will in the United States. In fact, the issue remains a political third rail even for people who believe we need to act now. It’s worth asking then: Is there a fatal flaw in the discourse around climate change? Is it time to let go of the climate change “sacred cow” and create a narrative centered on common values? We believe the answer to both questions is yes, and a natural place to start is by focusing on the health benefits of clean air, water, and land. The health impacts of climate change are clear and evident; poor air and water quality, natural disasters, extreme heat, and wildfire make us more vulnerable to illness, disease, and death. In 2009, The Lancet medical journal declared climate change “the biggest global health threat of the 21st century,” and in November, it released a report on how climate change is “shaping the health of nations for centuries to come.” These findings are underscored in a domestic context by the 2018 US National Climate Assessment, which notes the interconnected impacts climate change presents for the US economy, natural resources, and our health. The American Public Health Association is meanwhile prioritizing the issue on behalf of the nation’s public health field, and recently announced the launch of a new Center for Climate, Health and Equity. Within the health field, the medical literature and galvanizing work of the World Health Organization and others are contributing to a particular emphasis on clean air. At last year’s Global Climate and Health Forum, for example, “air pollution” was the term on everybody’s lips, including Howard Frumkin’s of the the Wellcome Trust, who said: “Five years ago at a meeting on climate and health, we would have heard much less talk about air pollution … Air pollution has emerged as an incredibly powerful issue to advance our discussion of climate change.” He and others have noted that air pollution is salient for policymakers and people, because it is happening now, the pollution is tangible, and its impacts on human health are direct and recognizable. Air pollution is also salient for health professionals. Independent medical literature underscores the urgency for action, which may be fueling the field’s newfound focus. A 2013 MIT study (using 2005 data) attributed 200,000 premature deaths in the United States per year to poor air quality. Studies are also uncovering other harmful impacts, such as chronic bronchitis and asthma, cardiovascular diseases, systemic inflammation, impaired cognitive development and memory function, and kidney damage, as well as gastrointestinal, liver, lung, and renal cancers. (See a World Health Organization compendium here.) These conditions may also drive absenteeism in schools and workplaces, exacerbate health care needs and costs, and impinge on our well-being and resilience as individuals, communities, and nations. The impacts are far worse for those who live near sources of air pollution, which are disproportionately near communities already facing disparities. Consequently, the World Health Organization is unifying the field—and its policy and behavior change prowess globally and domestically—to tackle the health inequities air pollution poses. This focus on air quality is one health-focused example that could serve as a compelling impetus for tackling climate change without necessarily referencing “climate” terms. An air quality narrative could, for example, entail calls to action that help end new fossil fuel projects and shift economies away from coal, oil, and natural gas. Domestically, strategies and messaging designed to prompt policies and action for cleaner air could help: safeguard comprehensive regulations in the Clean Air Act and standards for minimizing particulate matter smaller than 2.5 microns in diameter; commit the nation to 100 percent clean and renewable energy for all; and create opportunity and political capital to advance a new clean power plan, restore emissions standards, and drive other high-impact policies that seem impossible today but could have public will behind them in two years. This approach is already showing promise as a mechanism for motivating action in a clean energy context. While clean energy messaging has historically focused on climate change (“the Earth is warming, we need to do something about it, and clean energy can help”), Sierra Club’s US-based Ready for 100 Campaign instead focused on how air pollution from fossil fuels is putting our health at risk, and how clean and renewable energy will improve our health, leave a better world for our children, and save lives. The campaign drew on a proprietary national survey conducted in 2015, which indicated that Americans’ values for health and quality of life, particularly for future generations, motivate support for clean energy. Respondents generally ranked protecting air and water quality as higher priorities than fighting climate change, and health-based messages about reducing pollution tested best as reasons to support clean energy goals. The Sierra Club research illuminated an opportunity to engage new clean energy champions (beyond those activated in a “climate change” context) through messages linked directly to their values, particularly through values related to their health. In just two years, the campaign has already inspired 100 cities, along with 10 counties and two states (Hawaii and California) to pledge to shift to 100 percent clean and renewable energy. Given this, is it time for climate change advocates to develop a shared narrative that better taps people’s values and elevates our health, and in a way that will work across fields? How can we more fully connect health to other values, like economic security, economic development, social justice, environment and sustainability, energy independence, jobs creation, and just transitions for those whose livelihoods rely on the fossil fuel industry? As we work to answer these questions, let us look to how we can promote more-robust collaboration, reduce duplication of effort, and reinforce central concepts; share resources (through pooling funding, resources, and tools), and mobilize and coordinate across fields and movements; and reimagine community engagement by leading with curiosity, and inviting people to talk about these issues in the context of their experiences and those of their loved ones. Together, we can inspire the policies and actions we seek. If those of us who work to mitigate climate change unite to make health a national priority—bypassing the climate change third rail—it will be an instructive model for broader shifts in narrative and action, and a potentially formidable force for positive change in our communities.